Welcome! This is my blog about photography and things around it. The different edges could be applied to this photo as well. 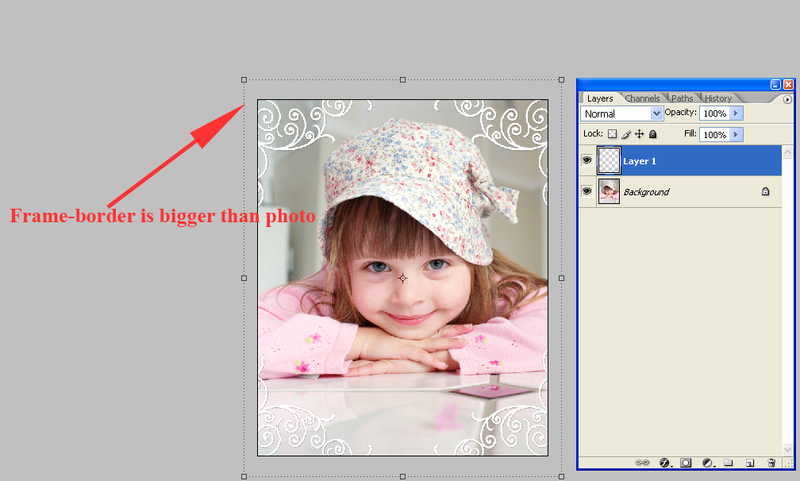 So, with this in mind, I made a set of such edges and borders to decorate digital photos. You can free download these frames, border, and edges. 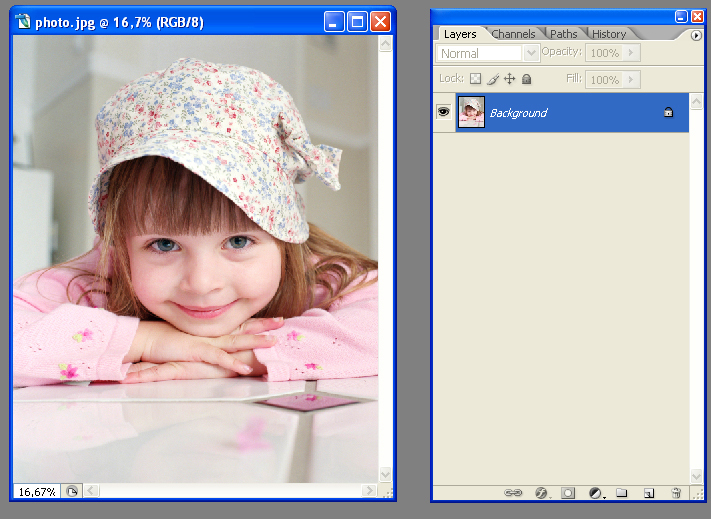 They are high resolution PNG files (300 ppi) and 8" x 10" size. They can be easily re-sized to fit the size of your photos. The instructions below are meant to give you an idea of how borders and edges can be used in Adobe Photoshop or Adobe Photoshop Elements. You can apply different technique, keyboard shortcuts, and so on, in order to achieve the same result. But, instructions below are just simple and proven workflow. 3. 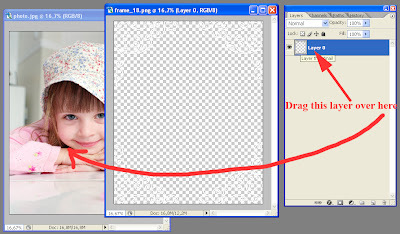 Within workspace of Adobe Photoshop or Adobe Photoshop Elements you should have two images opened, namely, your photo and frame-border. 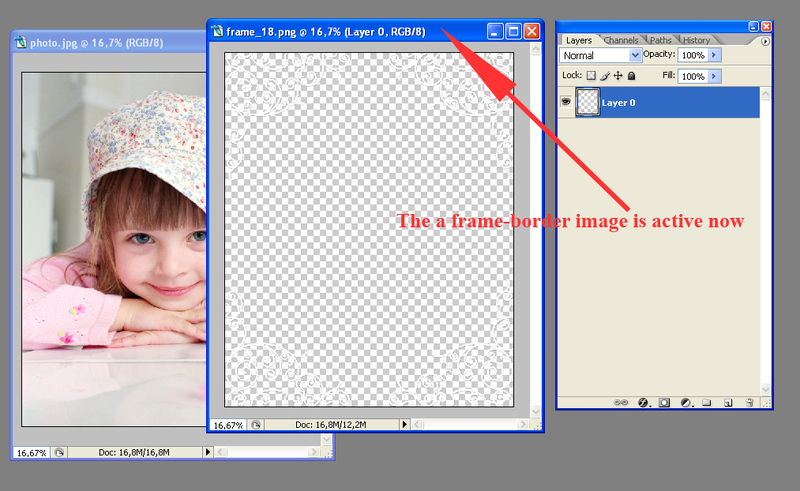 Make sure that that frame-border image is active. 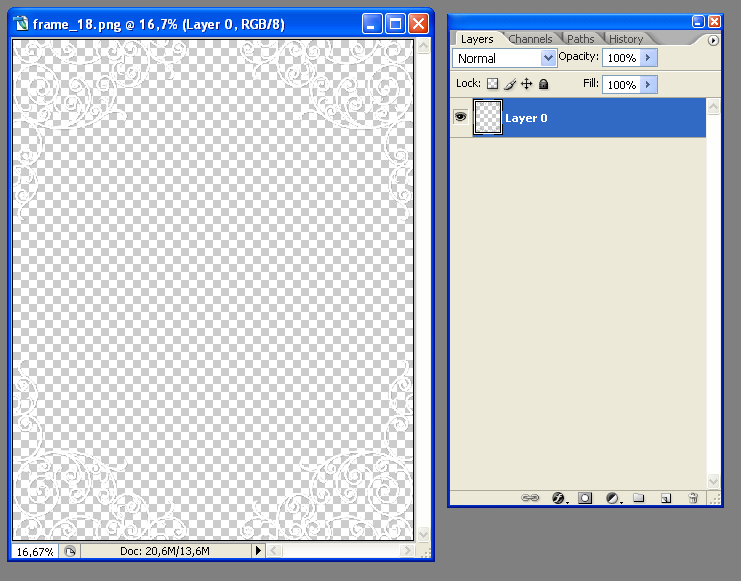 Hold down Shift key and drag Layer from the frame-border image over photo image by mouse (while holding down left button). 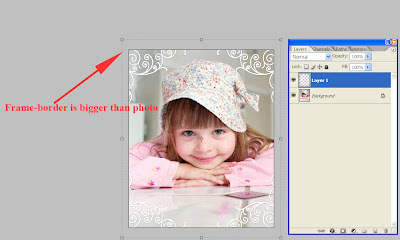 When mouse point will over photo image release mouse’s button. 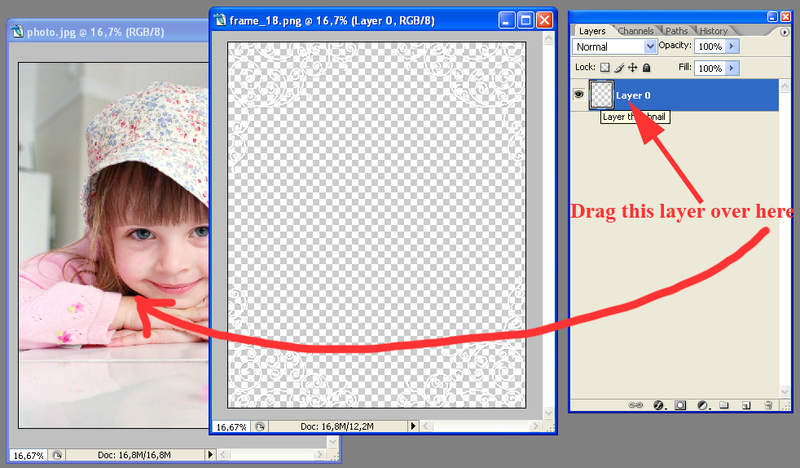 After you release mouse’s button the photo image becomes active. 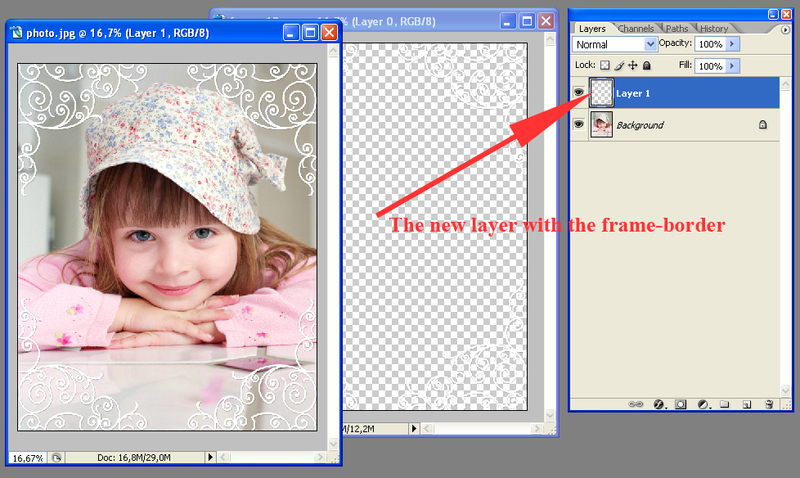 The new layer (with the frame-border) will be added to it. The job is completed. You can save this photo image (with two layers) in a printable graphical format, for example, as a high resolution JPEG file. It is done. 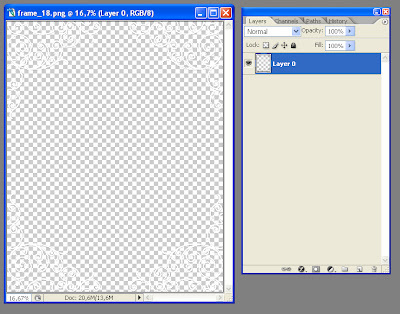 You can repair this by just resizing the frame-border. To accomplish this task first click on the frame-border thumbnail and chose the Move Tool. 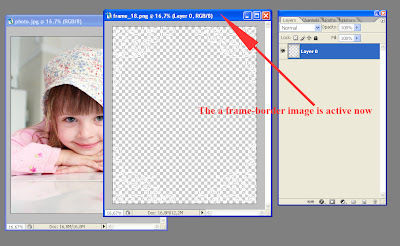 The bounding box will appear around the frame-border. 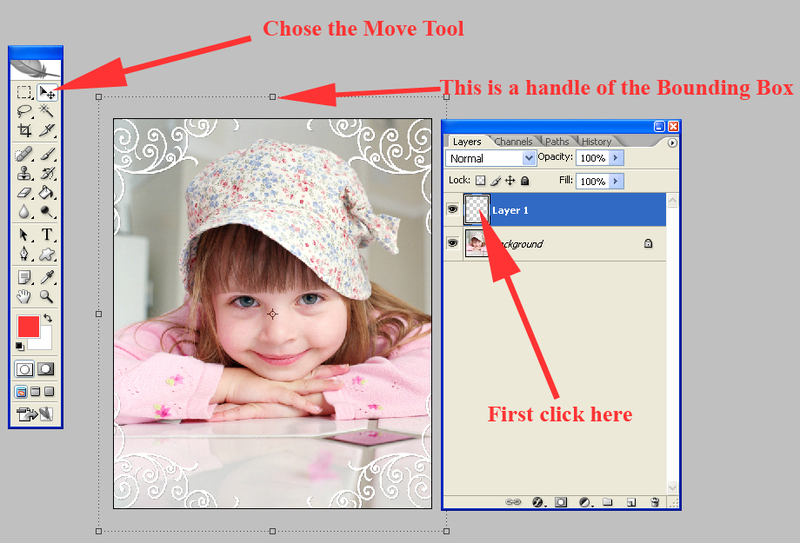 To resize the bounding box, position the pointer over a handle - the pointer turns into a double arrow - and resize it.